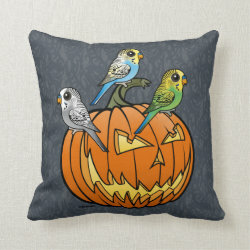 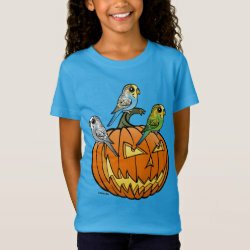 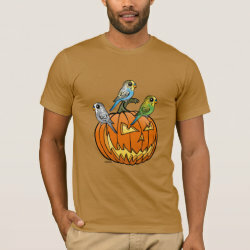 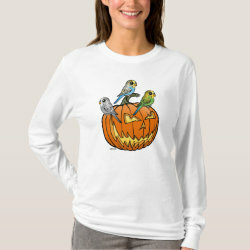 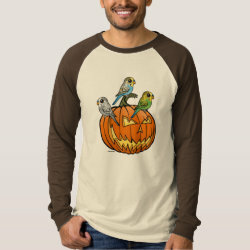 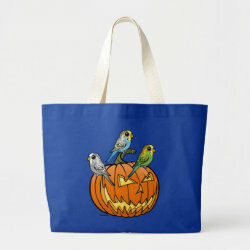 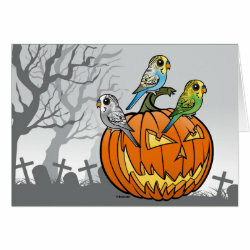 Three different color morphs of our adorable Budgie are perched together on a spooky jack-o-lantern. 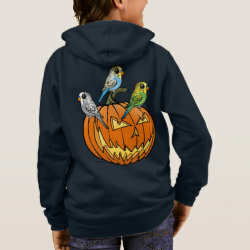 The little 'keets are ready to celebrate Halloween! 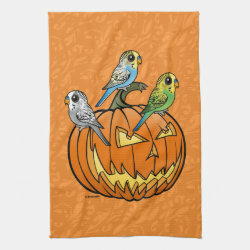 Jack O'Budgies Kitchen Towel 16" x 24"